The MPASCII-Art is a small and fun program that allows you to convert an image into text (ASCII characters). It was designed to be easy to use by any home user. You can download this software for free, the links will be displayed bellow, as well as some sample screenshots. This new version allows you to convert images with a much better quality. It also adds a lot of new GUI functionalities that will optimize your experience. The MP-OS is a very small command line operating system. Currently it only has few features working. I already wrote some basic low-level output functions, I also wrote interrupt handlers and basic keyboard input features. It is still in a very early development stage so please don’t expect any big features. I just released the first version of MPObfuscator PHP, a multi-platform tool that allows you to protect your PHP scripts so nobody can reverse engineer them easily. You can use this software when you want to share your PHP script in the Internet (paid or free) and want to protect your code so nobody can modify it and distribute it with their names. You can also use it to protect your code even if you won’t share it and will only host it in your server, to make sure that if someone gets your code, won’t be able to modified easily. No obfuscating tool is 100% efficient but MPObfuscator does it’s best to protect your code. MPObfuscator PHP is available on Microsoft Windows 7, Vista and XP and also on Linux and Mac OS X. To run it on Linux and Mac OS X you must have Mono Framework Installed. 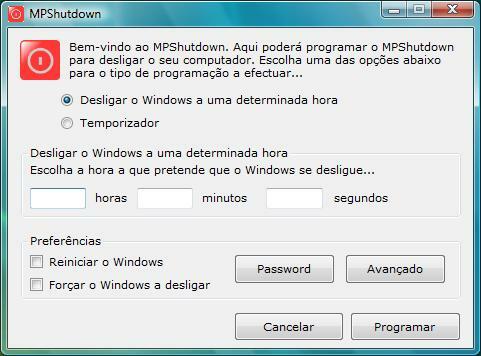 The MPShutdown is a software that allows you to turn off your computer when you are not at home or can’t manually shut it down for some reason. In these situations you can use MPShutdown to program your machine to shutdown when you want. It’s a very useful tool but currently it’s only available in Portuguese language and the development status is currently closed. However, in the future I might update it if needed.